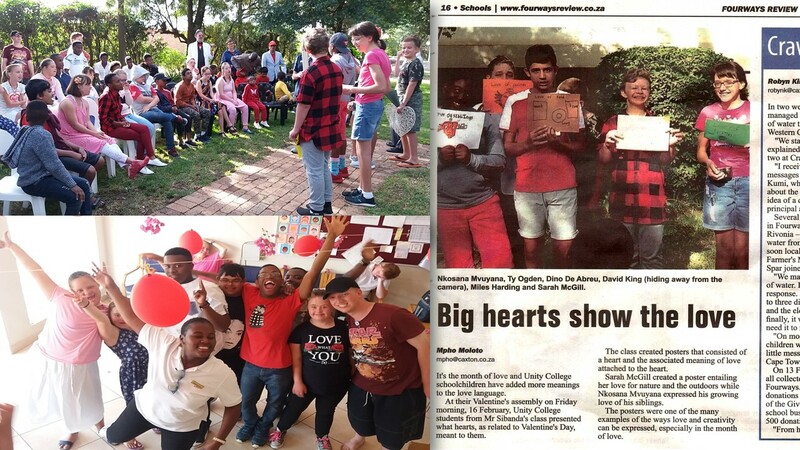 Teacher Tonic Sibanda’s Intermediate class 4/5 class presented what Hearts as related to Valentine’s Day means to them at a Special Valentines Assembly. Posters consisted of a heart and the associated love attached to that heart for example, Student Sarah M has a love of nature where Student Nkosana has a love of his siblings. The special day spilled over to a Valentine’s Day dance-off from 11am where our learners got to boogie to the latest sound tracks and show some impressive talent on the dance floor! As if that weren’t enough entertainment, the Senior students were spoiled with a Senior Disco from the later afternoon, which is an opportunity to socialise, dance and forget about School work for and hour and a bit at the end of their academic day.